Good leather boots are a dime a dozen, but a leather boot boasting a unique detail is hard to come by. As I scrolled through the interwebs before dozing into sleep, I came across a must-have boot that rival all the others in your collection. 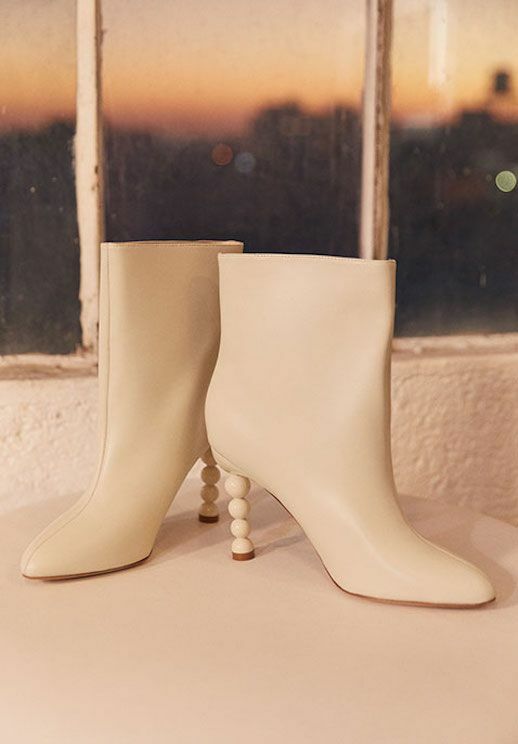 This LPA Agsen bootie comes in a creamy white and an acrylic ball heel that'll surely garner some serious compliments.